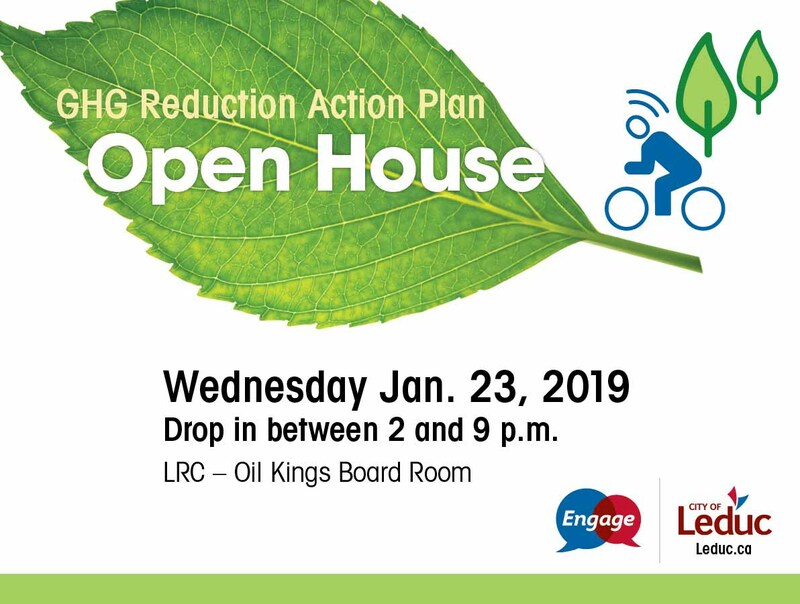 The City of Leduc is hosting an open house on Jan. 23 to present proposed actions and targets for its Greenhouse Gas (GHG) Reduction Action Plan to the public. WHEN: Jan. 23 | drop-in from 2 – 9 p.m. Proposed actions and targets have been developed based on input gathered from the community during public engagement in 2018, and will guide local efforts in emission reduction. Feedback collected at this open house will assist in finalization of the action plan. Leduc’s local plan for GHG emission reduction will be a made-in-Leduc solution to the global issue of changing climate. The plan will respect the city’s unique priorities, using lessons learned from established environmental initiatives and other municipalities that have addressed similar challenges. For more information on this initiative, please visit Leduc.ca/ourclimatesoloutions.